BAABUL is the story of a daughter’s hero! 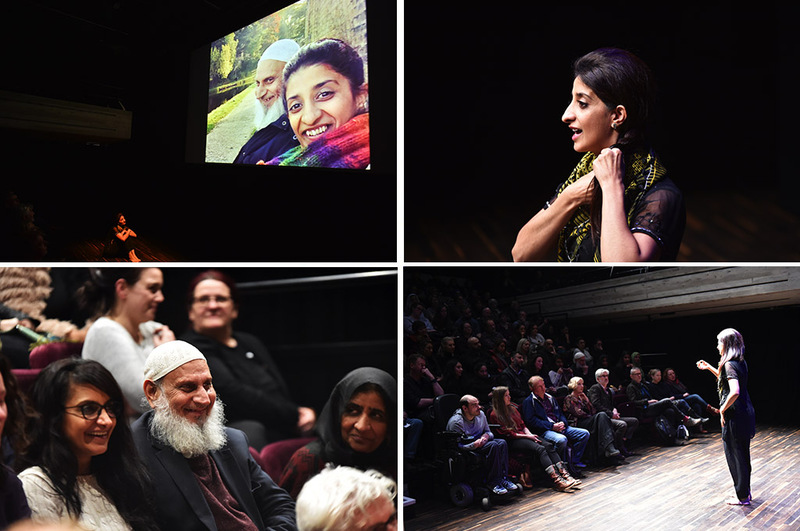 In Autumn 2017/8 verd de gris arts supported amazing young writer and performer Sameena Hussain with her original theatre piece ‘Baabul’ – a tribute to a father from his daughter. A daughter’s appreciation and gratitude to a father who raised his daughters as a “blessing”! This autobiographical performance revisiting life events which aim to capture the beauty, love and struggles of a father raising his daughter in a patriarchal society and instilling the belief in her that she can be whoever she wants. 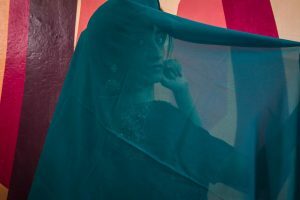 Sameena explains: “Having the opportunity to create and share ‘Baabul’ was very empowering for me and gave me the confidence to share my work as an artist. I felt like an artist and felt appreciated by my peers and my community. In celebrating my father and showing gratitude to him, I was also giving a platform to tell stories about people who look like me and who’s stories are very rarely told. It is very rare to see female, Muslim and Pakistani performers from Halifax, that in itself was a statement. It showed what is absent in our theatre. At verd de gris we were so excited to be able to help Sam get this topical and relevant piece of theatre to the stage. ‘Baabul’ was performed at Square Chapel Arts Centre on Tuesday 28th November 2017at 7.30pm and has gone on to be performed at venues in Huddersfield, including Lawrence Batley Theatre. Sameena is currently developing new opportunities to tour this wonderful piece of work across West Yorkshire. This project was funded by Big Lottery Fund and was part of the Creative Communities initiative developed in partnership with Square Chapel Arts Centre.